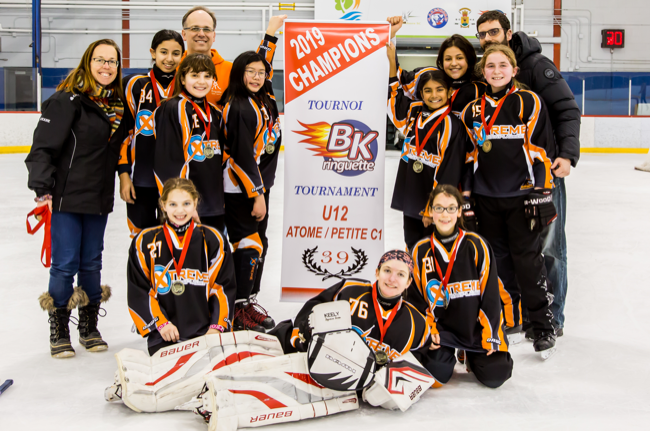 Our Atome team won the BK 2019 tournament! Please consult the schedule for the upcoming events. Boys and Girls can start Ringette as early as 4 years old with our Learn to skate program, more details in our program section. Watch this short descriptive video.